Only people who love someone, a business or an institution, buy Life Insurance. Are you one of these people? Our team utilizes a number of tools that calculate the amount of coverage you want to protect your loved ones. Once we have calculated the amount of coverage to accomplish your goals, we will then design payment strategies to fall within your budget and available resources. Term Life Insurance: Provides a level amount of coverage with fixed level cost for a specific period of time such as 10 or 20 years. After that period expires, coverage cost increases dramatically. If the client has health issues, they must pay the higher cost or terminate coverage! If healthy, they can obtain new coverage at a higher cost due to their increased age. If death occurs during the coverage period, the death benefit is paid to the beneficiary of your choice free of income tax. 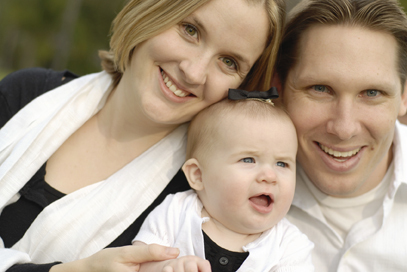 Permanent Cash Value Life Insurance: Provides coverage that remains active for as long as you live. A permanent cash value insurance policy accumulates cash you can use during your lifetime. The owner has access to the cash value by withdrawals, guaranteed collateral borrowing against the cash value or surrendering the policy. 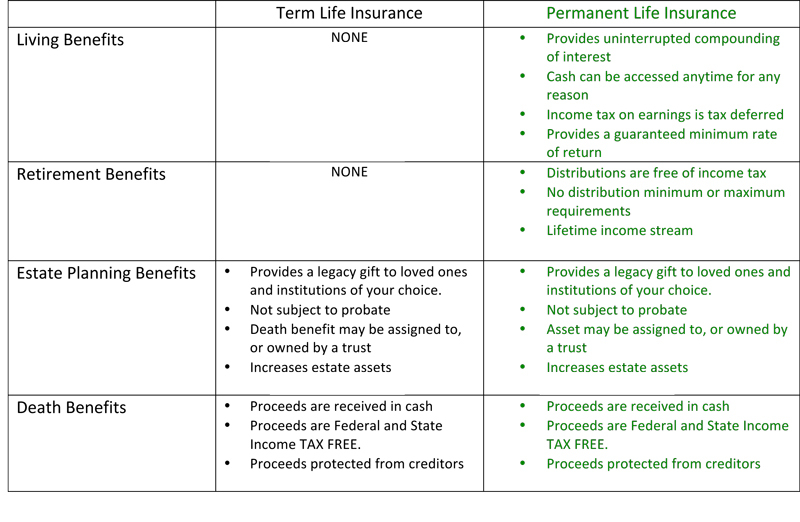 There are four basic types of permanent insurance: whole life, traditional universal life, variable universal life and indexed universal life. They each serve different purposes. Our job is to help match you with the right product to best accomplish your goals. Want a Life Insurance Tune-Up? If you already have life insurance, click here for a checklist to help tune up your Life Insurance.